Apogee (www.apogeeinstruments.com) of Logan, Utah, is a manufacturer of sensors for the biological sciences. Campbell Scientific purchased a shareholding in 2005 to complement a cooperative relationship. Apogee was organized in 1996. Corobor (www.corobor.com) is owned by Campbell Scientific Limited . Corobor is based in Paris and provide Meteorological IT solutions. Corobor solutions are based around the MESSIR family of software products that can be integrated into a cost effective, reliable, robust and resilient system. Fort Supply Technologies (www.fort-supply.com) is owned in part by Campbell Scientific, Inc., and is located in Kaysville, Utah. Fort Supply creates field-rugged animal-identification and tracking systems for use by researchers, producers, and government. Founded in 2007, Fort Supply has systems in the USA, Canada, Germany, and Australia. Irrisoft, (www.weatherreach.com) a subsidiary of Campbell Scientific, Inc., and located in Logan, Utah, focuses on automated weather-based control products for optimizing water use in landscape irrigation. Irrisoft was organized in 2000. Juniper Systems (www.junipersys.com) is a subsidiary of Campbell Scientific, Inc. Located in Logan, Utah, Juniper is focused on rugged, hand-held field computers. The HarvestMaster Division of Juniper Systems also supplies plot-harvesting-yield monitor systems. Juniper Systems was organized in 1993. 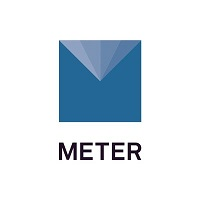 METER Group, Inc. (www.metergroup.com) is owned in part by Campbell Scientific, Inc., and is located in Pullman, Washington. METER supplies products to the food processing industry, where they set the standard for water activity measurement in quality control applications. METER also supplies a variety of products for use in agriculture and soils. METER Group, Inc. was formed in 2016 from the merger of Decagon Devices, Inc. and UMS. Decagon was organized in 1983.